Penrhyn House in North Wales a perfect base for your holiday in Conwy. Find out more about Penrhyn House below. This mid-terraced cottage is situated on the outskirts of the village of Cwm Penmachno and sleeps four people in two bedrooms. Penrhyn House is a stone built, 19th century mid-terraced cottage set on the edge of the scattered village of Cwm Penmachno, close to the town of Betws-y-Coed. The cottage sleeps four people had has two bedrooms consisting of one double, one adult bunks, as well as a family bathroom. The cottage also has a fitted kitchen, dining room with woodburning stove and a sitting room. Outside, the cottage has off road parking for one car and a front and rear garden. Penrhyn House is close to many attractions, which will suit everyone in your party. Electric storage heaters in sitting room, dining room, kitchen and landing and portable electric radiators in bedrooms with solid fuel stove in dining room. Electric oven and hob, microwave, fridge/freezer, washer/dryer, dishwasher, TV with Freeview, DVD, radio/CD, MP3 player speakers. Electricity and fuel for solid fuel stove inc. in rent. Bed linen inc. in rent. Off road parking for 1 car. Front and rear enclosed lawned garden with furniture and BBQ. Sorry, no pets and no smoking. Pub 3 miles. Penrhyn House is family friendly self catering. We have the following details listed regarding Penrhyn House accommodation accessibility but we would recommend that you always confirm these prior to booking with the owner or operator. Penrhyn House is a great base to explore the wonders of Conwy and you will find plenty of activities near by. Penrhyn House is at Cwm Penmachno, Conwy LL24 0RH. Check out the map below for directions, use the controls to zoom in. If you have stayed at Penrhyn House why not add your thoughts, comments, pictures to our Facebook page? Don't forget to add the name/town/page link to your comment so its attributed to the correct place. Please keep it polite, we are sensitive souls! Find Cottage Holidays works closely with independent cottage owners and leading holiday travel operators to provide you the widest choice of self catering accommodation across Wales. 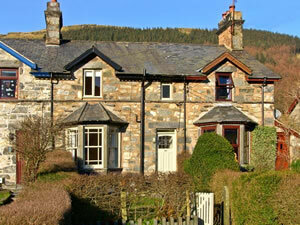 Penrhyn House in Conwy is available through: Sykes Cottages.